Get updates of what's new at Template Train , straight to your inbox. Your privacy is important for us, trust us, we don't share email ID's with any one. 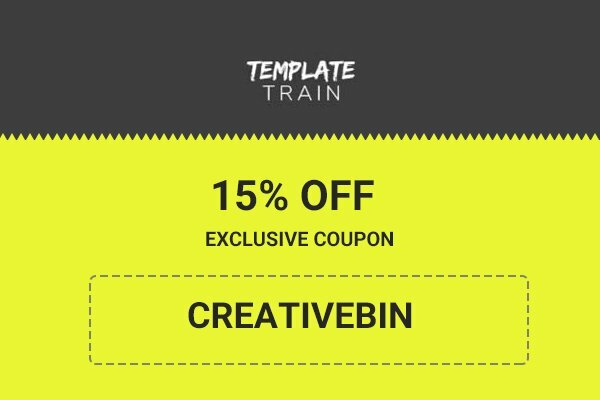 Template Train is the newest design marketplace on the web. They have a wide collection of templates, fonts, web themes, and graphics made by some of the best designers. The site ensures that you can find any resource for your design needs without fail. They offer 6 free downloads every week along with routine discounts and deals. Designers can also open a shop on their site and sell their designs. Template Train also has an affiliate program for which users can sign up and earn up to 10% in commissions on referrals made from their site. The best thing about this marketplace is where users can inquire for a custom design for their project. Be it a sales presentation or infographic, users can fill up a form and mention what they need and the guys from Template Train will get back in touch with them.